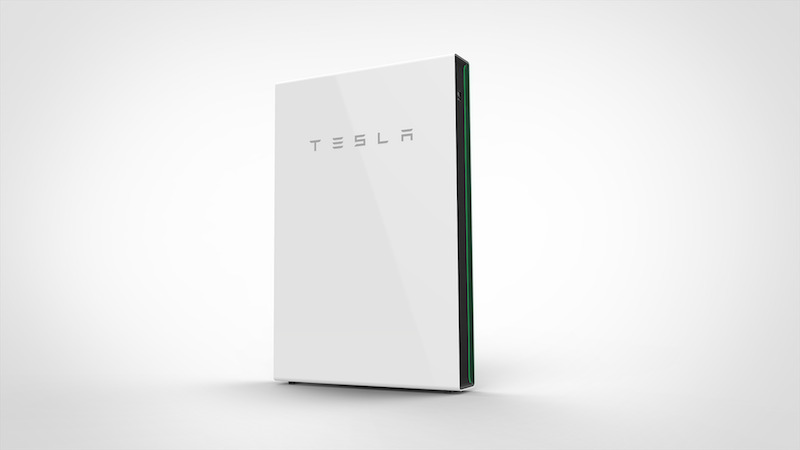 In October 2016, Tesla announced the Powerwall 2 home storage battery, significantly updating the first generation's capabilities. The new version has twice the energy density (14kWh vs last year's 7kWh) and comes with an integrated inverter, which the previous version did not include. This means the home backup market just got more competitive, a good thing for consumers. Home battery solutions can provide emergency power during an outage or store electricity for hours when prices are higher or the sun isn't shining. If several batteries are combined with solar panels, a battery bank can even power an entire house for off-the-grid living. Each Powerwall 2 costs $5,550, and the average US home will need 2 or 3 to supply its power needs. A single Powerwall can provide limited backup power for critical appliances and lights, but not enough for the entire power usage of a typical house. A potential downside to the Powerwall 2 is that it uses a different battery chemistry, nickel manganese cobalt (NMC), which is more volatile than traditional lead-acid batteries or another common lithium-ion chemistry, lithium ferrous phosphate (LFP). Under ideal conditions, NMC batteries are safe, but when punctured or improperly charged, there is a small risk of fire. Most recently this happened with the Samsung Galaxy Note series of phones, but there have been other isolated incidents in the past. Additionally, temperature could play a role: NMC is more sensitive to charging at low or high temperatures and have strict temperature operating ranges. There have not been any reports of Powerwall dangers so far. While not something to panic about, it is one point to be considered when choosing a battery pack meant to last a decade. Lead-acid batteries are cheaper and field-tested over decades. LFP lithium-ion batteries offer longer lifespan, higher current capacity, and inherently safer chemistry. Either could be alternatives to NMC. On paper the Powerwall 2 is a good deal, but based on specifications from Tesla and its battery partner, Panasonic, it remains to be seen whether the unit can truly live up to the hype. The technology seems better suited for electric vehicles, not ideally home energy storage (because this particular chemistry prioritizes smaller physical size over safety or longevity). We have systems immediately available with more storage capacity, more output, and more cycles for a competitive price. We are continually looking at new battery technologies and are very interested in some of the advancing lithium ferrous-phosphate products soon to enter the marketplace as Powerwall competitors, but right now, we still recommend traditional lead-acid as the best combination of price, performance and safety. Even if you are dead-set on going with the more modern lithium-ion batteries, we'd recommend at least waiting until early 2017 for competing batteries from Sony, Mercedes-Benz, etc. to come out. Some of them will use the safer LFP chemistry, and the additional time will give the market and early adopters a chance to figure out any potential kinks. You can learn more about the Powerpack 2 from Tesla's website or give us a call at 1-800-472-1142 for alternatives. Unlike Powerwall's one-size-fits-all approach, our battery backup systems come in different sizes tailored for any home, and we'll help you figure out the right system for your specific requirements -- with or without solar panels. Tesla also announced their new solar roof tiles -- on the set of Desperate Housewives in Universal Studios, no less, perhaps a nod to the increasing mainstreaming of household solar. 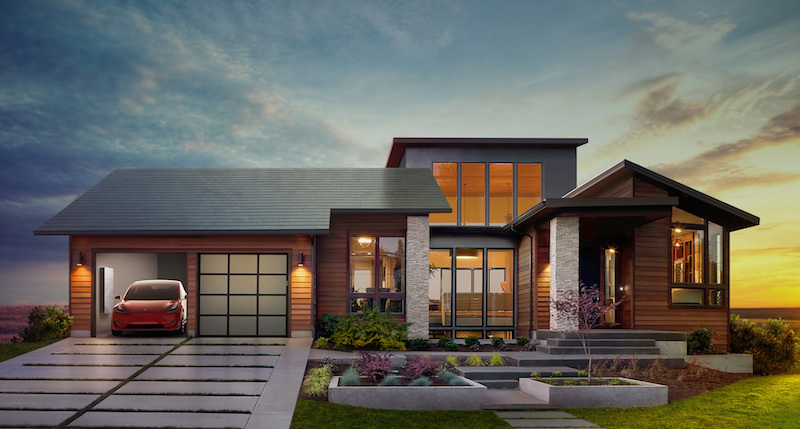 Tesla's new tiles are stunningly beautiful, but they are not the first building-integrated PV system. Other companies have tried to market similar products in the past, but are usually held back by reliability, maintenance, and cost concerns. Hopefully, Tesla has been able to address the reliability concerns but price and availability are still unknowns. Consumer Reports estimates that Tesla solar roof tiles could cost up to $70,000. If true, it would likely be over a decade before this technology is cost-effective compared to conventional panels, during which time a conventional system would've already paid for itself. Like Tesla's first electric cars, these new tiles are aimed at a luxury market (or perhaps locations where homeowners' associations make traditional panels difficult). We won't know its true cost-effectiveness until Tesla releases more details about longevity, maintenance, and pricing. Our guess is that they will be out of the price range of many homeowners, at least at first.